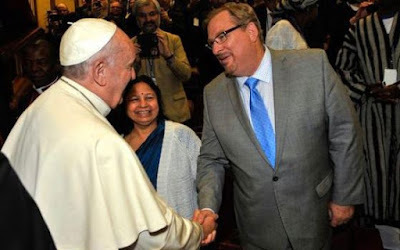 European Union in Bible Prophecy: THE FUTURE OF ROMAN CATHOLICISM AND THE VATICAN DURING THE UPCOMING TRIBULATION PERIOD AND THE 4TH SECRET OF FATIMA ? THE FUTURE OF ROMAN CATHOLICISM AND THE VATICAN DURING THE UPCOMING TRIBULATION PERIOD AND THE 4TH SECRET OF FATIMA ? Ecce : a Mulier Vehitur Bestia ! 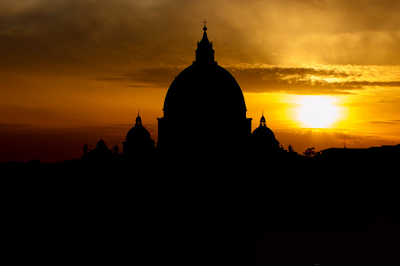 It's not that the sun is setting on the Roman Catholic Religious Empire; its that its final encarnation is about to be finalized ! Some of the top 'Secular Future Forecasters' have predicted that the Roman Catholic Church will become almost 'IRRELEVANT' in the future as mankind 'EVOLVES' technologically; and that 'Artificial Intelligence' will eventually become the final DEITY of most humans. According to the Book of Revelation; they are 'ALL' wrong, this world is about to be turned 'Upside Down and Inside Out' !!! And just as it happens when 'Great Calamities' come upon this planet most people out of fear will run to their religion and their religious leaders to seek out answers !!! A very great spiritual darkness is headed to planet earth and Roman Catholicism as well as its upcoming final Pope are going to pull most of this world into a new and very unholy 'Dark Age' !!! The Vatican survived World War I, then WWII because of a 'NOT' so secret deal with Hitler and according to the Book of Revelation it will also survive WW III !!! 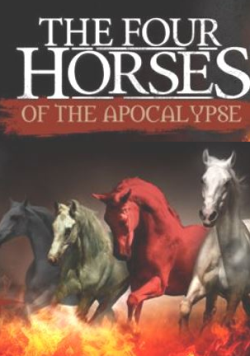 This student of Bible Prophecy recalls that days after the terrorist attacks of September 11, 2001; that most churches throughout America became packed as never before; people were scared, people wanted answers; the endtimes events that are coming are going to once again at least initially pack the Roman Catholic temples because the true believers will be taken away just like the 5 Virgins !!! The Roman Catholic religion is going to enjoy a massive 'REVIVAL' during the Tribulation 'BUT' there's 'NOT' going to be nothing holy about it !!! 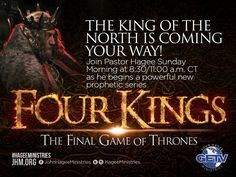 The Woman riding the Beast of Revelation will yield power because over a billion of her 'VICTIMS' will be left behind with her !!! For her unholy and adulterated wine has made them all 'Spiritually Blind' !!! ( WMD*) seem to be exploding all over; the United Nations has become irrelevant; the fallout of the nuclear radiation has destroyed a large percentage of the world's food supplies as well as contaminated the water supply in the areas affected; millions of people are seeking a safe haven; most countries of the world in panic have 'CLOSED' and militarized their borders; they hardly have enough food and drinkable water for their own populations, much less for millions of war refugees and foreigners. After hundreds of millions of deaths; most of the Islamic Arab countries in the Middle East have imploded, the past civil wars and the most recent wars against them by the rising 'Little Horn' has almost decimated their armies and the little infrastructure that was not previously destroyed in the civil wars of the Arab Spring has now been destroyed. 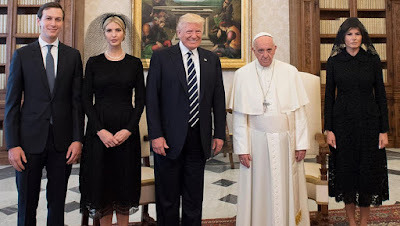 The Vatican and its new Pope have called for world peace; herein officially enter the : TWO BEASTS of REVELATION in an unholy alliance; bar none !!! 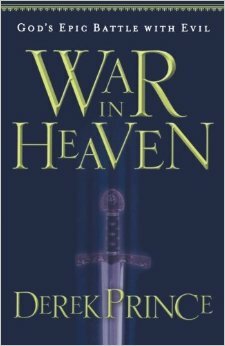 This student of Bible Prophecy writes this article out of 'LOVE' for all my Roman Catholic friends and relatives. Mario Romano was born in one of the most religiously practicing Roman Catholic countries in this planet and was almost by default a Roman Catholic himself during his teenage years. It wasn't until he was around 17 years of age that he first heard the 'True Gospel of Jesus Christ' that came straight out of the Bible and 'NOT' out of human man-made traditions that long ago departed from the Holy Scriptures. 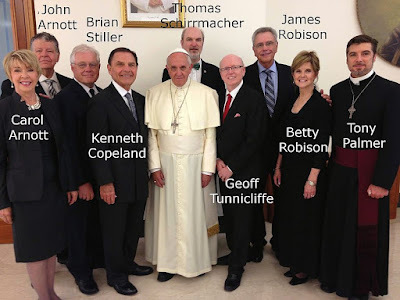 Because the Roman Vatican is going to play a major role during the Tribulation period this student of Bible Prophecy 'WILL' keep on reporting upon her whom the King's of the earth have committed spiritual/political fornication with ( Revelation 17:2 ) Because the Holy Spirit calls her the 'Great Prostitute' ( Revelation 17:1 ) it is NECESSARY for this student of Bible Prophecy to 'WARN' and 'TEACH' about the : Vatican, the Pope and the Roman Catholic Religion while there is still time and opportunity; the hour and day is fast approaching when it won't be as easy nor possible because of the great persecution that she will unholily sanction and 'bless' just like she once did during the unholy inquisitions !!! The Papacy, Amillenialism, Jerusalem and the 2nd Coming of Christ ??? 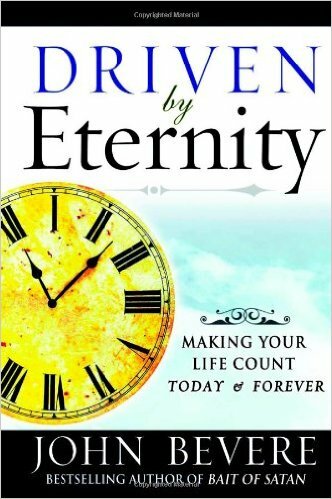 DISCLAIMER : Many people have the WRONG conception of how to get to heaven and obtain 'Eternal Life.' Most people on this planet very sincerely believe that just being 'GOOD' and not hurting anyone is enough; the Biblical Truth reveals to us that even our best and good intentions are like 'Filthy Rags' before our Holy Creator ( Isaiah 64 : 6 ) The Holy Bible reveals to us that we have 'ALL' sinned; the 'Good News' is that GOD fixed and addressed this problem before the foundation of the world when the Lamb of GOD was slain ( Revelation 13:8 and 5:9 ) Mormons, Jehova Witnesses, Roman Catholics, Buddhists, Muslims and Orthodox Jews have millions of 'Good People' "BUT" according to the Holy Bible that's not good enough to be SAVED; we must repent and accept JESUS CHRIST as our ONLY Savior !!! All those human souls who believe the 'LIE' that Jesus Christ is just an : Angel or another mere Prophet are going to die in their sins and are literally 'Gambling' with their eternal soul when they don't have to !!! Jesus Christ is GOD encarnate and He took upon Himself the Wrath of GOD; the Father in the Cross of Calvary for all those who would 'REPENT' of their sins and accept His complete atonement finalized at the Cross !!! The Holy Bible itself tells us that it is 'NOT' enough to just believe in GOD to be saved; for even the demons believe that there is a GOD and they tremble !!! ( James 2 : 19 ) Our Orthodox Jewish friends are some of the most intense 'RELIGIOUS' people on earth 'BUT' you and I know very well that they do 'NOT' accept that Jesus Christ is the Son of the Living GOD; they are trying to go to GOD the Father without Jesus Christ and our LORD warned us very explicitly that 'NO' man can go to the Father except by the son : Jesus Christ !!! This student of Bible Prophecy is fully aware that some 'T.V and YouTube Prophets' have 'Prophesied' that the present Roman Catholic Pope will be the last Pope and the False Prophet; they are 'ALL' wrong this Pope 'SHALL' not be the last one; the very timing of it all and the present age and health of this present Pope tells this 'student of Bible Prophecy' that this Pope will 'NOT' be the last one; SHAME on those who are 'Prophesying' falsely in the name of the LORD !!! When Mario Romano listens to most of those 'Prophets' they give him the impression that they have not studied in depth the Book of Daniel and Revelation !!! 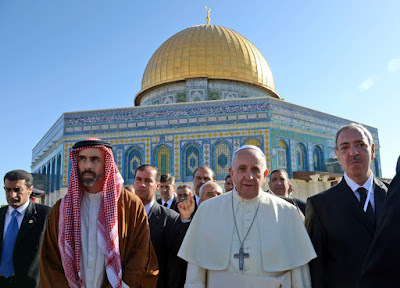 If you have been reading the articles of this unworthy servant of Jesus Christ you are fully aware of why Islam 'SHALL' not be the final 'Woman Riding the Beast' of Revelation; first of all the Woman on the Beast is 'NOT' dressed in the traditional colors of Islam nor is that deceitful Woman Riding the Beast is wearing any Islamic Burka !!! To be specific the final Woman on the Beast is dressed in the colors of the Roman Catholic Cardinals, she has in her hand the most symbolic of all Roman Catholic symbols : The Golden Chalice and in contrast to Islamic customs, the Woman on top of the Beast is flashing and displaying her wealth; an 'Ill Gotten' wealth by having sold indulgences through many Centuries to hundreds of millions of human souls as well as many, many other $$$ UNHOLY activities and abominations !!! In conclusion, this servant of the Resurrected Jesus Christ does 'NOT' write this article or warning to condemn my Roman Catholic : Friends and Relatives; the Biblical Truth is that 'NO' one can go to GOD the Father except through JESUS CHRIST !!! 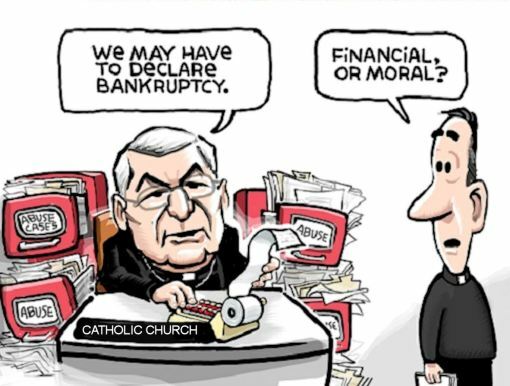 No Roman Catholic 'Saint' nor the 'False Mary' ( Promoted by the RCC*) can save the human soul of any human sinner !!! 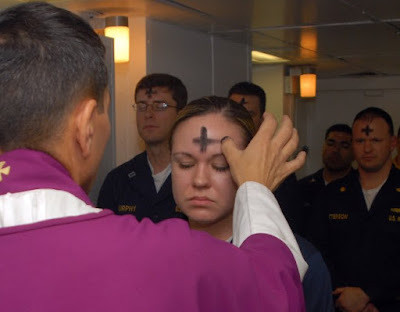 The Roman Catholic Religion has DECEIVED hundreds of millions if not billions of human souls and led them to the wide path that leads unto eternal damnation !!! This servant of GOD is 'NO" John the Baptist but he does stand like a John the Baptist and declares to this 'Final Generation' that the Roman Catholic Clergy are leading them ASTRAY because they long, long ago departed from the true teachings of the Holy Bible; the real Mary of the Bible is 'NOT' at fault for having suffered one of the first cases of 'Identity Theft' the Marian Apparitions of the 'PAST' had nothing to do with the real Mary found in the Holy Scriptures; "ALL" of the 'Marian Apparitions' : Fatima, Lourdes, Guadalupe and over 30+ others have 'ALL' contradicted the 'Written WORD of GOD found in the Holy Bible !!! 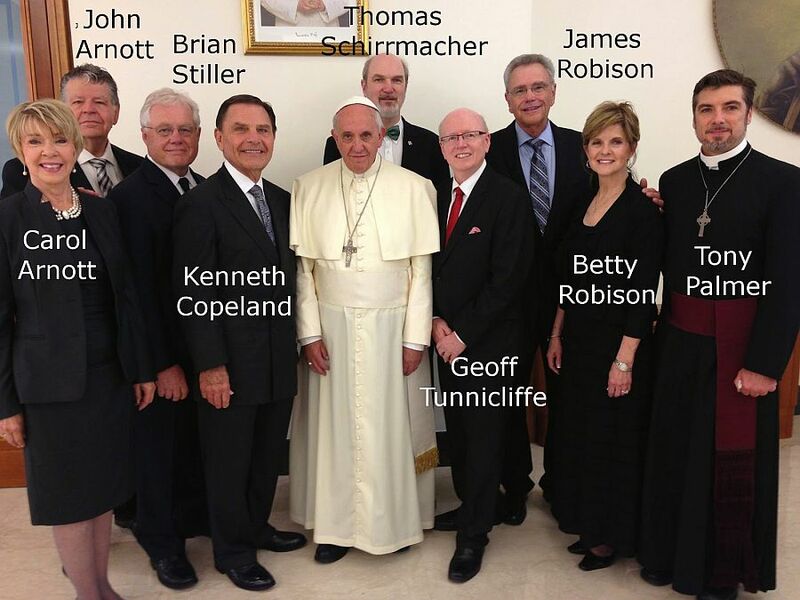 Among one of the many 'ABOMINATIONS' still perpetuated by the Roman Vatican is 'Pedophilia' the blunt truth is that sexual abuse against hundreds of thousands of boys and girls throughout the 'CENTURIES' via the Roman Catholic : Priests, Cardinals, Nuns and other Catholic leaders is definitely "NOT" restricted solely to this 21st Century, human beings are sexual creatures, and because the Vatican has been employing very good 'Public Relations' tactics they have kept this 'HORRIBLE CRIME' against innocent children hidden for CENTURIES !!! 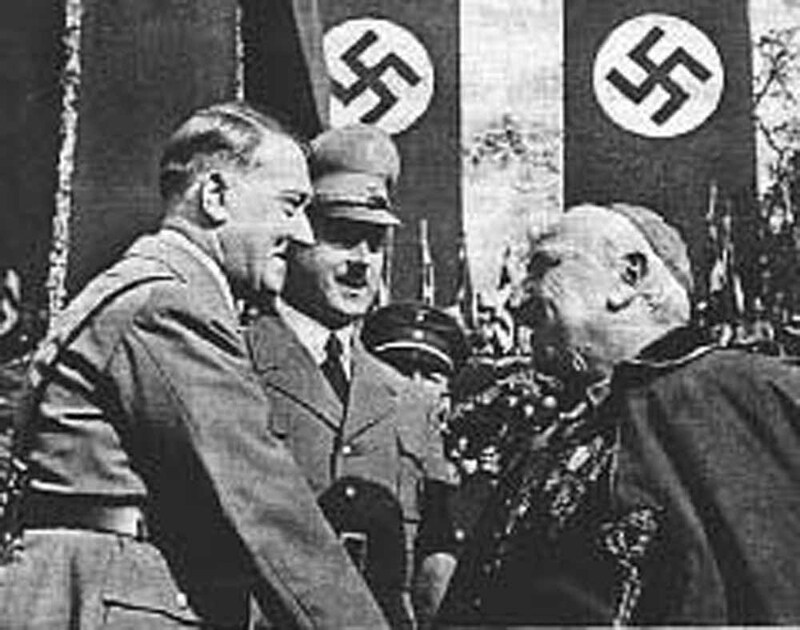 The explosion of Mass communications has greatly helped to bring to light some of the horrible and dark secrets that the 'UN-BIBLICAL' Roman Vatican has helped to perpetuate for several centuries, they tried to copy the Jewish Priesthood 'BUT' because of $$$ economic gain the Vatican early on prohibited Catholic Priests to marry like the Jewish Priests/ Rabbis can and the tragedy is that to this day the present False Prophet/Pope still does 'NOT' want to abolish Priestly Celibacy !!! ( Revelation 18 : 12 ) NOTE : Even the Italian police and secular press has numerous stories about Roman Priests and others getting caught in the middle of unholy orgies throughout Italy in this 2018 !!! In sum; there is 'STILL' salvation available for every Roman Catholic 'IF' they repent of their sins and truly abide in the written WORD of GOD found in the Holy Scriptures. This offer is also still open to millions of our : Jewish Orthodox friends as well as to our Muslim friends, Buddhists friends and anyone else who truly CALLS UPON THE NAME of the ONLY true SAVIOR of this world : JESUS CHRIST***It is 'NOT' enough to solely believe in GOD and no one is going to be saved by WORKS alone; JESUS CHRIST came to die for the sins of many; Jesus Christ took upon himself the WRATH of GOD on the Cross of Calvary 'NO' religious ritual instituted by any Roman Pope can ever come close to replacing thee COMPLETE SACRIFICE that Jesus Christ accomplished on the Cross !!! The religious leadership of the Roman Catholic Church has and is committing the same religious/theological errors as the Pharisees and Sadducees in the past and that is that their very own PRIDE won't let them admit that they are absolutely very wrong about their 'TRADITIONAL' beliefs that long ago departed from the written WORD of GOD !!! 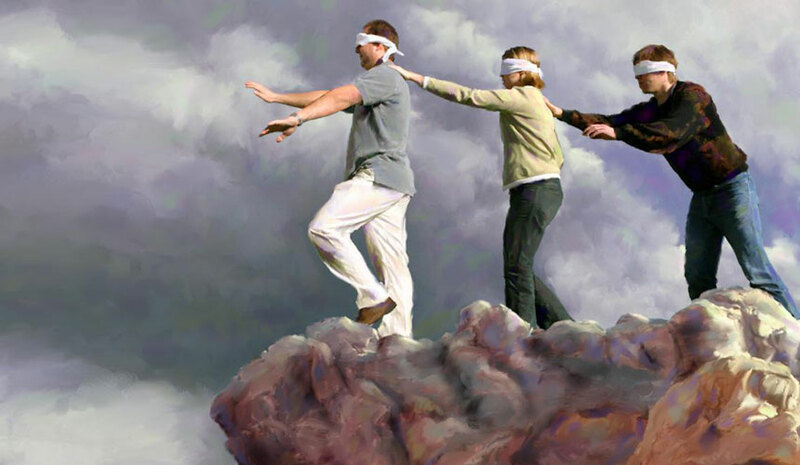 They are indeed 'Spiritually Blind' leaders on their way to hell and the tragedy is that they are leading over 1.2 Billion other Roman Catholics to perdition too ! The Roman Catholic leaders will be JUDGED in the Great White Throne Judgement even harsher than the Pharisees and Sadducees because they had/have access to the Holy Scriptures in ways that others never had and 'YET' they ignored the WORD of GOD and embraced 'Papal Infallibility' that created numerous unholy abominations and heresies !!! The 4th Secret of Fatima ??? In sum, all 'Marian Apparitions' are the creative work of the Prince of Darkness ( a.k.a. Satan*) this vessel of Jesus Christ is 'somewhat' of an expert on all of them and I can tell you that 'ALL' of them stated things that 'CONTRADICTED' the written WORD of GOD found in the Holy Scriptures and not only that, they seek WORSHIP unto themselves !!! 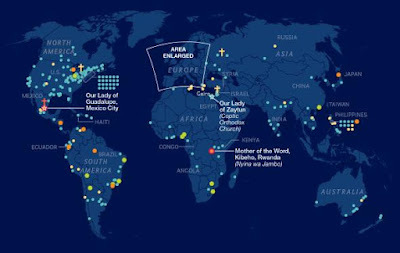 And if that wasn't bad enough millions of spiritual naive and biblically illiterate Roman Catholics keep 'Venerating and Worshipping' the images of the 'Queen of Heaven' left behind !!! Example : the Virgin of Guadalupe in Mexico stated that she desired that a temple be built unto her in Mexico City/ Tepeyac; the apparition NEVER or rarely pronounces the name of JESUS CHRIST 'she' always states that 'My son sent me' !!! ( The latest research that Mario Romano has uncovered concerning Guadalupe in Mexico is that 'NOTHING' really appeared to the native indian : Juan Diego, Guadalupe was absolutely 100% made up by the local Roman Catholic Clergy to 'Catholicize' the native indian population there !!! The historical evidence proves that a Guadalupe Temple/Shrine already existed in Spain that precedes the one in Mexico !!! ) ( The name Guadalupe originates from the Moors who were in Spain for some time; there is actually already a 'Virgin of Guadalupe' in Spain that preceded that of Mexico by many years !!! ) If you don't know anything about apparitions, the apparition in Fatima ( Portugal ) supposedly revealed 3 secrets to 3 little children that they were supposed to give to the Pope; the truth is that the 3 secrets are as true as the 4th secret of Fatima. This student of theology BOLDLY affirms that the 3 secrets of Fatima are as believable and true and from GOD as the 4th secret of Fatima !!! ( Most Catholics will believe any and all 'Prophecies' given by apparitions 'BUT' they just can't believe the ones' in the Holy Bible !!! NOT one of the 3 secrets of Fatima are biblically based ; they are all 'Half-Truths' ( Satan uses the same tactics as he used with Eve; Half-Truths*) and are as true as the 4th Secret of Fatima. 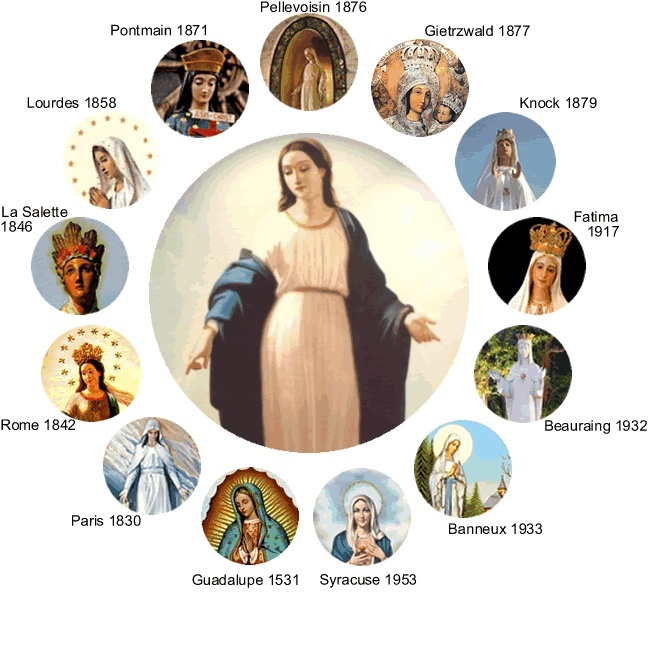 The 4th Secret of Fatima obviously doesn't exist 'BUT' to this student of theology the 4th Secret of Fatima is that 'SHE / IT' is definitely 'NOT' sent from GOD, nor is the 'Woman' who appears in all those apparitions the same Jewish Mary of the Bible; "ALL" the apparitions are Satanic apparitions !!! Our LORD Jesus Christ Himself never told us that He would send 'Mary' to guide us to all truth, 'BUT' He did state that He would send the HOLY SPIRIT to guide us to all truth !!! 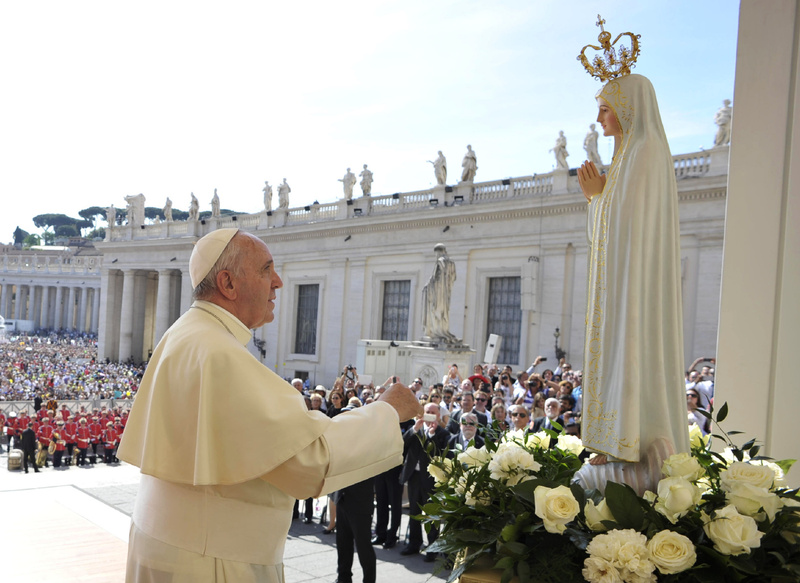 ( John 16 : 13 ) It is rather interesting that Satan used a woman to first deceive Adam and he is now using the 'likeness and name' of Mary to deceive untold hundreds of millions of human souls !!! By : Mario Romano; born under Roman Catholicism 'BUT' now presently saved by grace and by the blood of the Lamb : Jesus Christ !!! 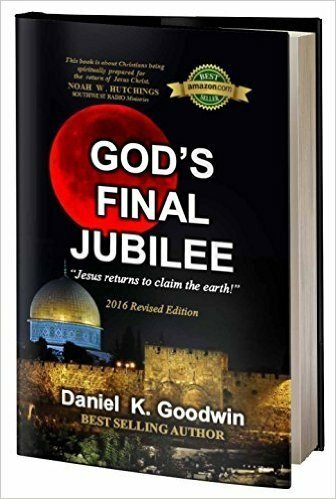 The tribulation period; Daniel's 70th Week is 'NOT' only for Israel and its 'Unbelieving' Jews; it is also for 'ALL' those who rejected thee WORD of GOD. Most of our Jewish friends do not believe that Jesus Christ is the Messiah and 'MOST' Roman Catholics have been erroneously taught to believe that Jesus Christ is 'NOT' the only way to the Father; Roman Catholicism teaches that there are 'Many Ways' to get to heaven like: The Scapular, Praying the Rosary, Taking communion-eucharist often and the Sacraments, they base their salvation on their 'WORKS' and not on what the Holy Scriptures actually do teach !!! Our LORD Jesus Christ warned a very religious Nicodemus that unless any man is born again he/she can 'NOT' enter into the Kingdom of Heaven; hundreds of millions of Roman Catholics have entrusted their eternal souls to a religious institution and system ( Roman Catholicism ) that is at its very core ANTI-BIBLICAL in every sense and therefore over 1+ Billion Roman Catholics will die in their sins for choosing to follow 'Traditions' of men rather than the written WORD of GOD found in the Holy Bible ***This ministry owns one of the most recognized domain names in all of Mexico : Laguadalupana.com and we are trying our best to lead Roman Catholics to the true full Gospel of our LORD Jesus Christ found exclusively in the Holy Scriptures !! !